Learn Engrosserï¿½s script (Copperplate) from my hero in script, Willis A Baird. These are scans of lessons from the old Business Educator magazine. There are some missing lessons but what is here is WELL worth the study effort. Learn Engrosserï¿½s script (Copperplate) from EL Brown, one of the most versatile penman who ever lived. These are scans of lessons from an old American Penman magazine. Learn Engrosserï¿½s script (Copperplate) from Joseph Galterio. The instructional pages were taken from Palmerï¿½s Penmanship Budget published in 1919. These fine exemplars have been out of print for many years. Learn Engrosserï¿½s script (Copperplate) from OE Hovis, one of the most versatile penman who ever lived. These are scans of lessons from an old Business Educator magazine. Learn Engrosserï¿½s script (Copperplate) from a true Master of the hand, Charlton V. Howe. These are scans of original specimens from my collection. There is no accompanying text; however, the instruction is self-explanatory. Learn Engrosserï¿½s script (Copperplate) from the person who created the instructional pages in the Zanerian Manual, EA Lupfer. These are scans of lessons from the old Business Educator magazine. 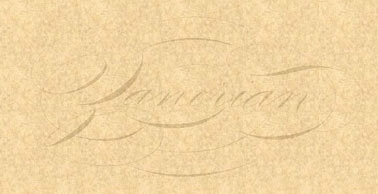 Learn Engrosserï¿½s script (Copperplate) from the man himself, Charles P Zaner. These are scans of the original Zanerian Manual. Later editions have the now famous script instructions penned by Zanerï¿½s student, EA Lupfer. This represents Zanerï¿½s own style of Engrosserï¿½s script.